대너리스 카가르옌. 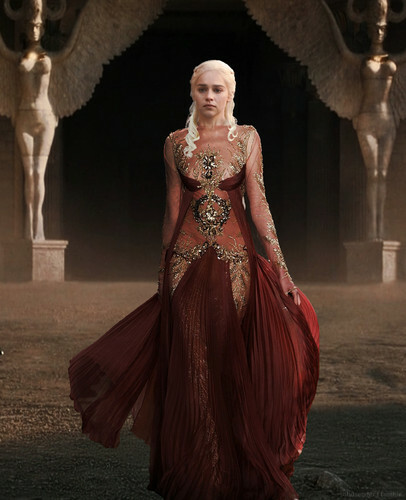 Daenerys Stormborn of the House Targaryen, the First of Her Name, the Unburnt, 퀸 of Meereen, 퀸 of the Andals and the Rhoynar and the First Men, Khaleesi of the Great 잔디 Sea, Breaker of Chains, and Mother of Dragons.. HD Wallpaper and background images in the 왕좌의 게임 club tagged: game of thrones season 4 dany daenerys targaryen emilia clarke. This 왕좌의 게임 fan art might contain 저녁 식사 드레스, 저녁 드레스, 정장, 이브닝 가운, 저녁 가운, 공식적인, 겉옷, 가운, 폴로네즈, and 폴로 네즈.